Point Pleasant shortstop Hunter Bush relays a throw to first base for an out during the second inning of Thursday night’s non-conference baseball game against Buffalo in Point Pleasant, W.Va.
Point Pleasant starter Levi Mitchell prepares to deliver a pitch during the first inning of Thursday night’s baseball game against Buffalo in Point Pleasant, W.Va.
POINT PLEASANT, W.Va. — Nice to remain perfect even when it wasn’t perfect. 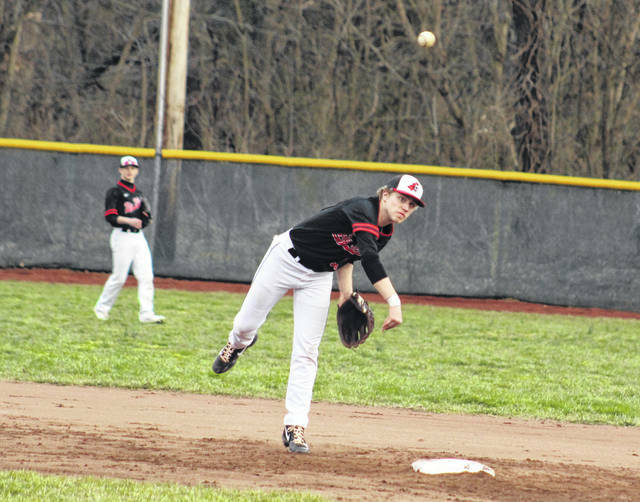 The Point Pleasant baseball team used two big innings to produce seven consecutive runs and ultimately remained unbeaten this season following a 7-2 victory over visiting Buffalo on Thursday night in a non-conference matchup in Mason County. The host Big Blacks (6-0) left five runners stranded on base in the first three frames, while the Bison (5-3) took a 1-0 advantage in the top of the second as Dylan Luikart singled home Cameron Lovejoy for the Blue and Gold’s only lead of the night. The score remained that way until the bottom of the fourth, when the Red and Black churned out three runs on three hits, a walk and an error. 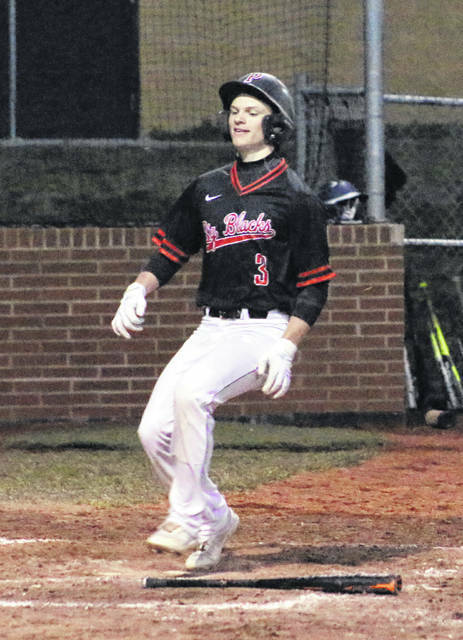 With runners at second and third and one away, Point nine-hole hitter Josh Wamsley reached safely on an error that allowed Kyelar Morrow to easily stroll home with the game-tying run. Sam Pinkerton, however, ended up getting thrown out at home while trying to score from second. Wamsley advanced to second on the putout at the plate. Hunter Blain followed with a single to right-center that allowed Wamsley to score the eventual game-winner for a 2-1 edge, then Blain stole second and came home on a Carter Smith single that made it 3-1 through four complete. BHS — which also stranded five baserunners through four innings — managed only two baserunners over the next two frames while remaining scoreless during that span. The Big Blacks added to their lead in the home half of the sixth with four hits and two walks, which eventually resulted in four insurance runs — all with two outs — and a 7-1 cushion headed into the finale. Pinkerton received a one-out walk and Wamsley followed with a single, then Smith received a two-out walk that loaded the bases. Miles Williams delivered a two-out single to left that plated both Pinkerton and Wamsley for a 5-1 contest, then Brody Jeffers singled in Smith one batter later for a five-run lead. Joel Beattie completed the offensive surge with a single that plated Williams for a 7-1 edge headed into the seventh. Preston Tucker singled home Seth Landers with two away in the top of the seventh, but the guests ultimately never came closer. Both teams produced eight hits each, but the hosts committed only one of the four errors in the contest. The Big Blacks stranded eight runners, while Buffalo left nine on the bags. Point starter Levi Williams picked up the winning decision after allowing one unearned run and five hits over five innings while striking out two. Joe Herdman worked a scoreless inning of relief while walking one, and Jeffers allowed an earned run and three hits in one inning of relief while striking out two. Zack Wilt took the loss for BHS after surrendering three unearned runs, four hits and two walks over four frames while fanning one. A.J. Kidd also gave up four earned runs, four hits and two walks while striking out one in two innings of relief. 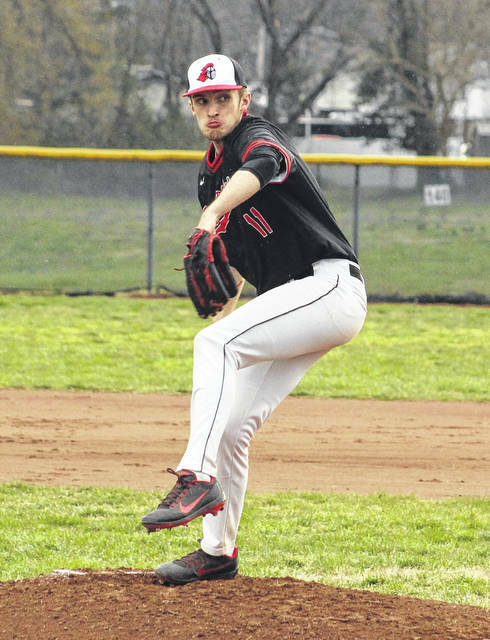 It was the second time this spring that Point Pleasant scored a season-low seven runs, but PPHS coach Andrew Blain felt that his troops left a few too many scoring chances stuck on the basepath. However, being unbeaten after two full weeks of regular season play is nothing to be upset about. Blain just wants this team to keep improving one day at a time. “Right now, we’re playing well enough to win. I still don’t think this team has achieved its potential, but it’s always good to win — especially when you don’t play at your absolute best,” Blain said. “Pitching has kept us in games this year and our defense isn’t giving any extra outs away, but we need to be a little more consistent with our offense. The Big Blacks had six different players produce hits, with Morrow leading the charge with two safeties. Blain, Smith, Williams, Jeffers, Beattie and Wamsley also had a hit apiece in the triumph. Williams knocked in a team-best two RBIs, while Wamsley added a team-high two runs scored. Tucker, Dylan Jividen and Jacob Smith had two hits each for the guests, with Luikart and Landers also adding a safety apiece. 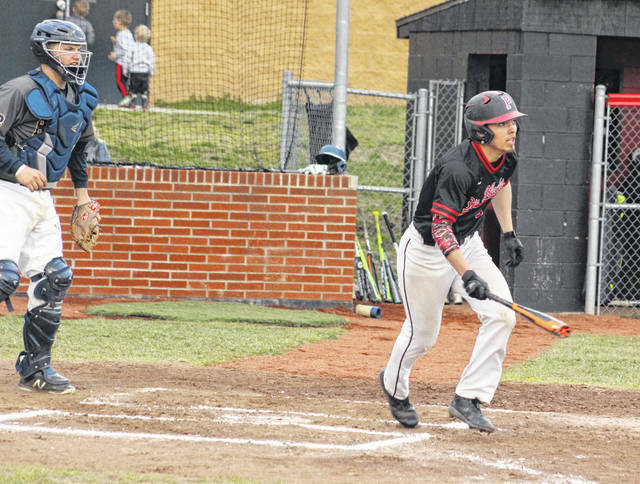 Point Pleasant traveled to face Wheeling Central Catholic on Friday night and returns to action Saturday when it faces both Brooke and Weir during a doubleheader in Weirton.